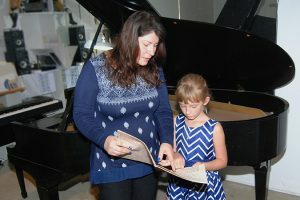 You Are Here: Home » Is My Child Ready to Start Taking Piano Lessons? The child shows an interest in music. Does your child like singing, listening to music, do they try to “play” the piano? 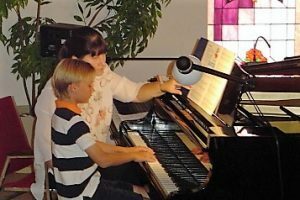 Talk to your child – does he, or she want to take piano lessons? Learning how to play the piano is very rewarding, but it is also a commitment of time and consistent practicing, so it is very important that your child has a genuine desire. Knows how to count up to 10. Being able to count up to ten is necessary for understanding the different note values, and time signatures. Ability to do simple addition up to ten is helpful as well. The child can keep their focus on a task for at least 10 minutes. I always alternate activities to keep the lesson interesting and enjoyable, however the student needs to be able to focus for at least 10 minutes at a time. He/ She understands that they will need to practice. It is best to make your child’s piano practice a part of their daily routine, but with if this is not possible, at least three practices a week would keep your child progressing at a steady speed. This does not mean spending large amounts of time sitting at the piano, rather, experts have found that short practices, about 10-15 minutes once, or twice a day, make for the best success rates. Children ages 8-9 and above should practice longer . 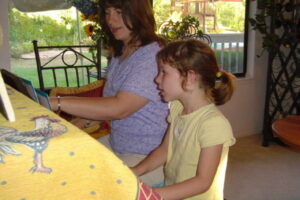 Many of my students started taking piano lessons when they were 5 – 6 years old. Research is showing that the natural sense of pitch and rhythm is at its peak between ages of 4-6.When a child’s interest is sparked in these formative years the long term benefits are much more substantial.